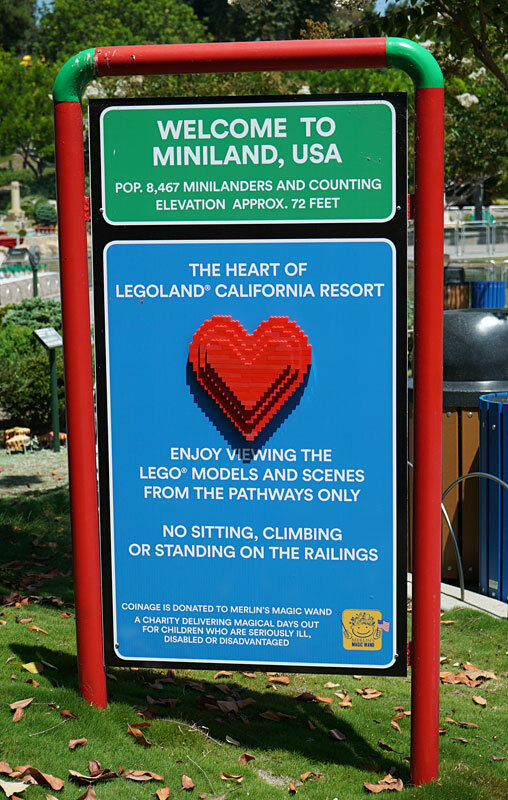 Miniland USA is the heart of Legoland. 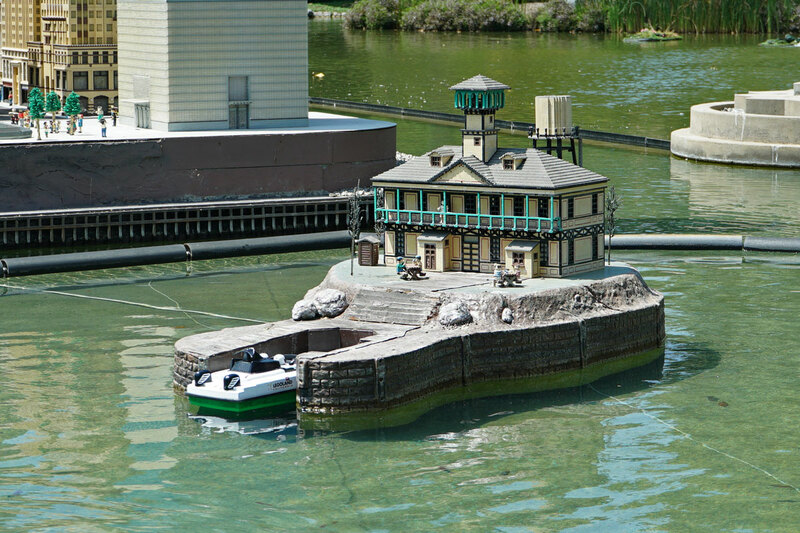 It is here where you'll see beautiful scale models of famous cities from around the USA, including San Francisco, New Orleans, Las Vegas, New York, and Washington D.C. 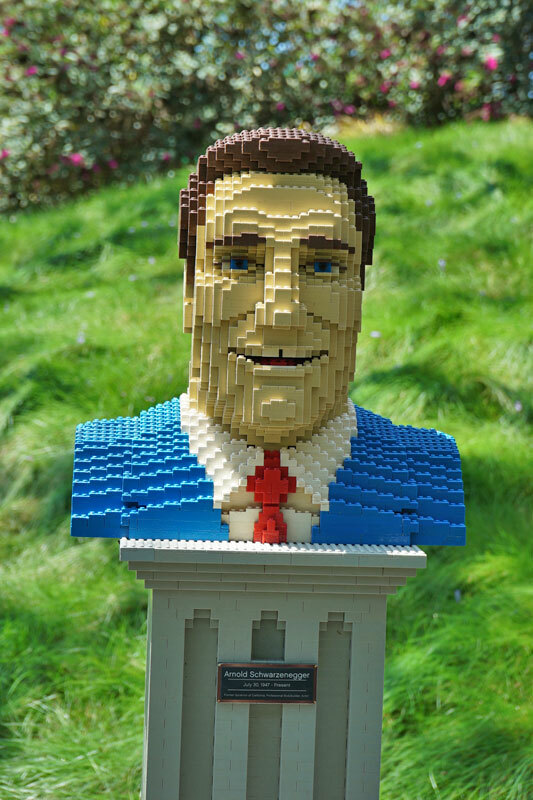 The major city exhibits will each have their own thread. 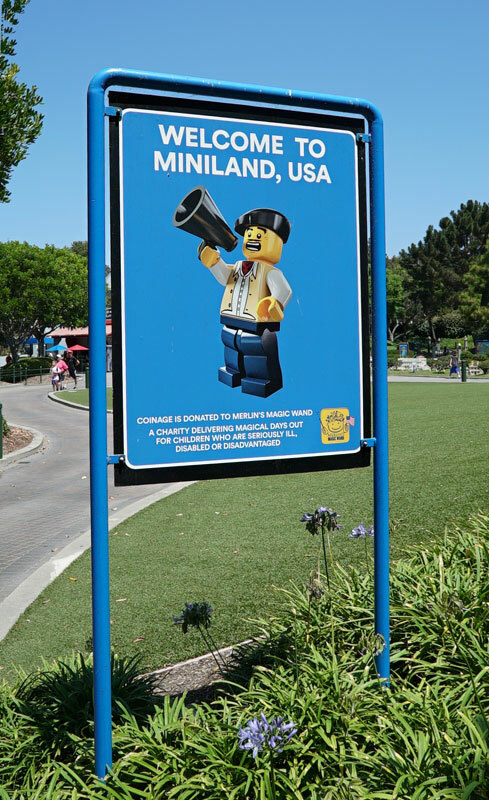 But there's lots more to see here, and this thread will showcase everything else found in Miniland. 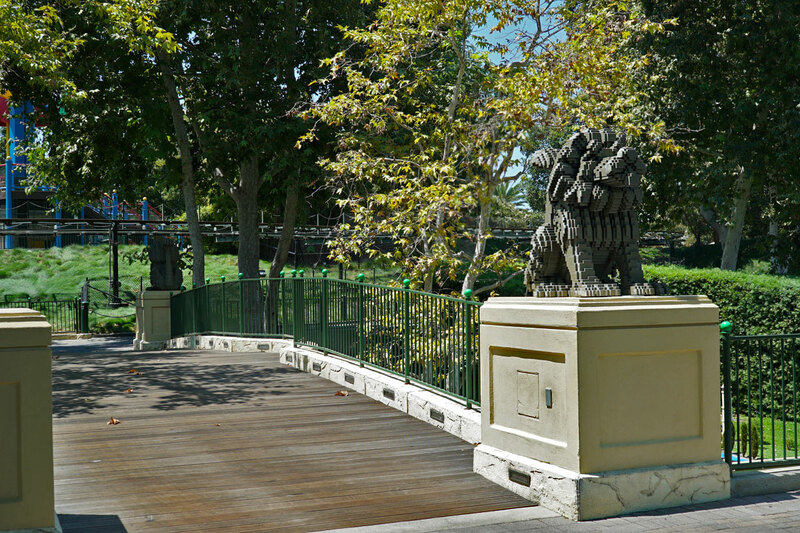 This is Liongate Bridge. 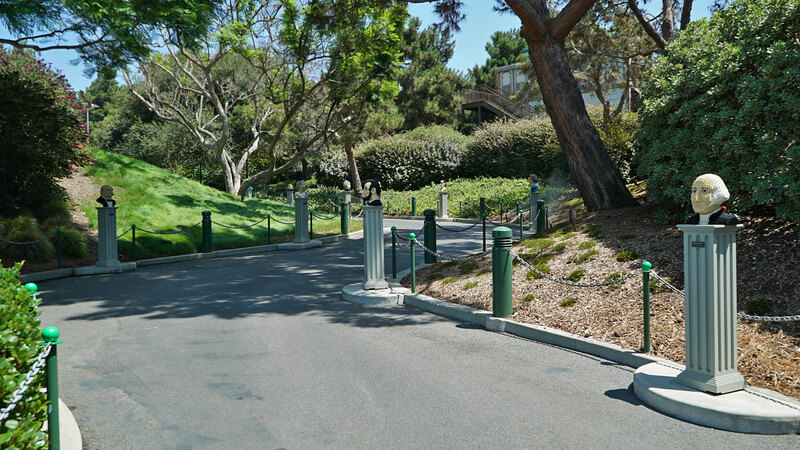 The lions used to roar when you crossed, but they've been strangely silent lately. 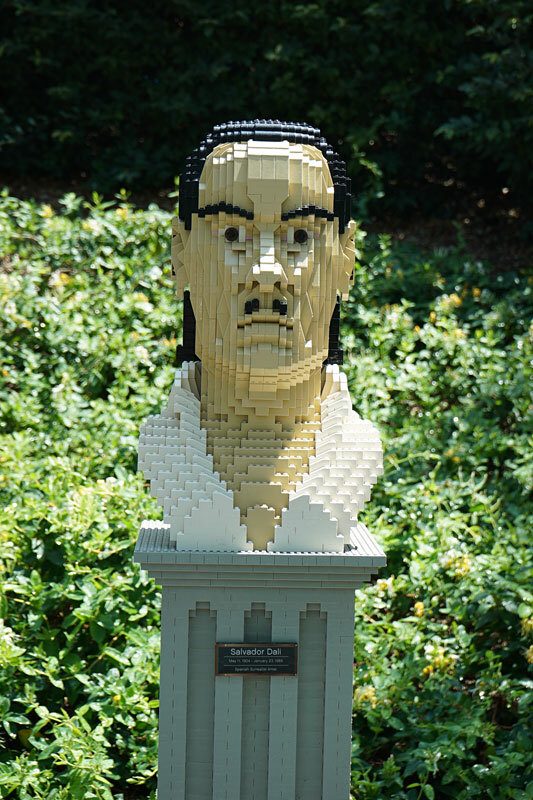 One of the four lions guarding the bridge, each made up exclusively of Lego bricks. 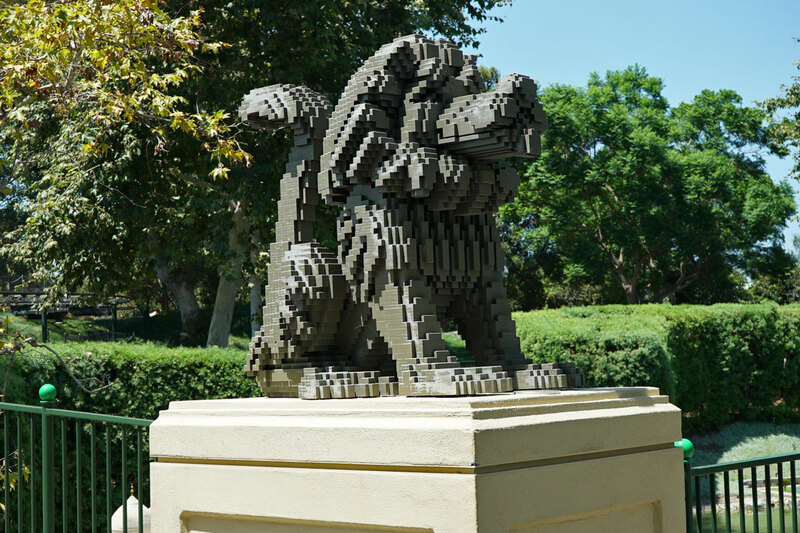 This lion seems a bit smaller than the others. 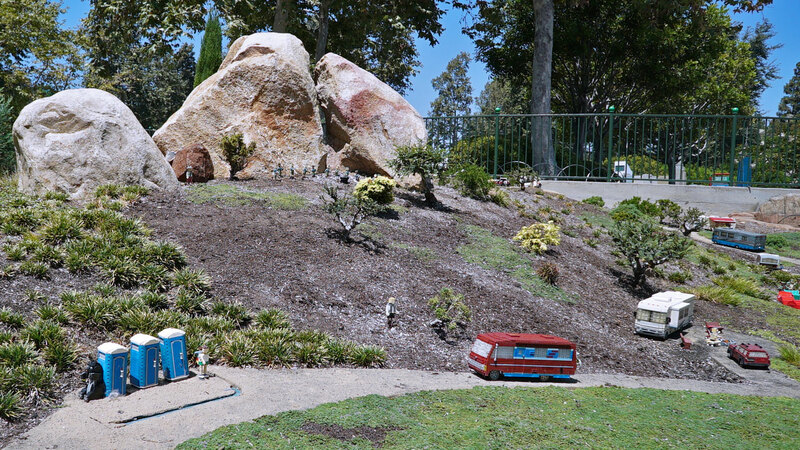 This small area features the great outdoors, being a homage to any number of National Parks in the US. 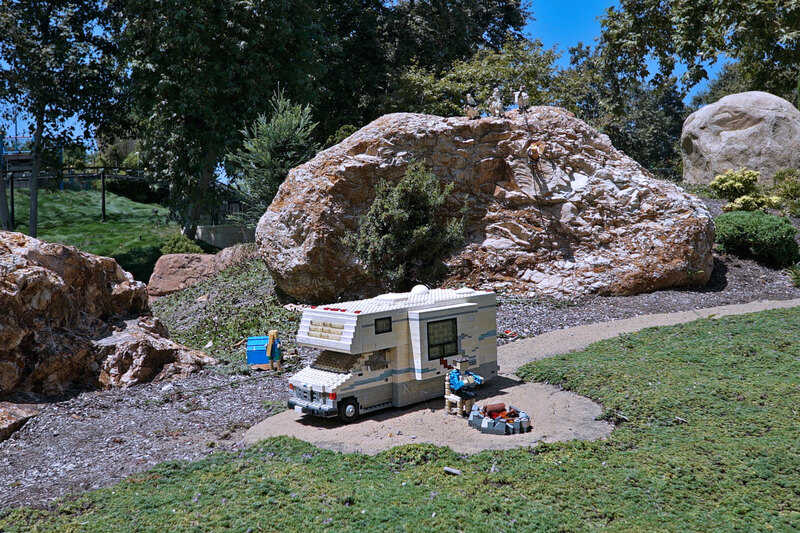 This looks like a nice spot to set up camp. 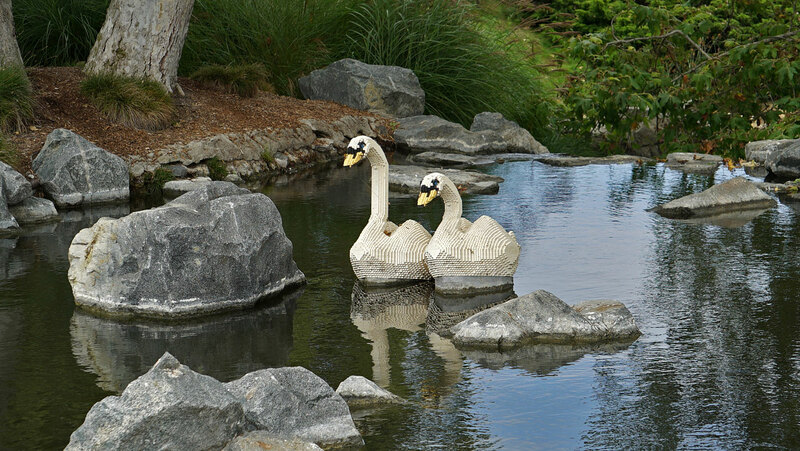 A pair of Lego swans in a picturesque pool. 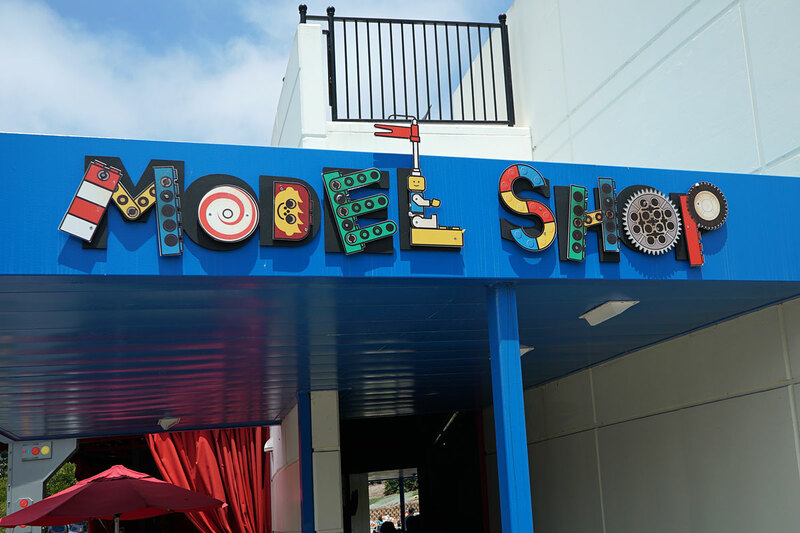 In a small building overlooking Miniland USA, you'll find the Model Shop. 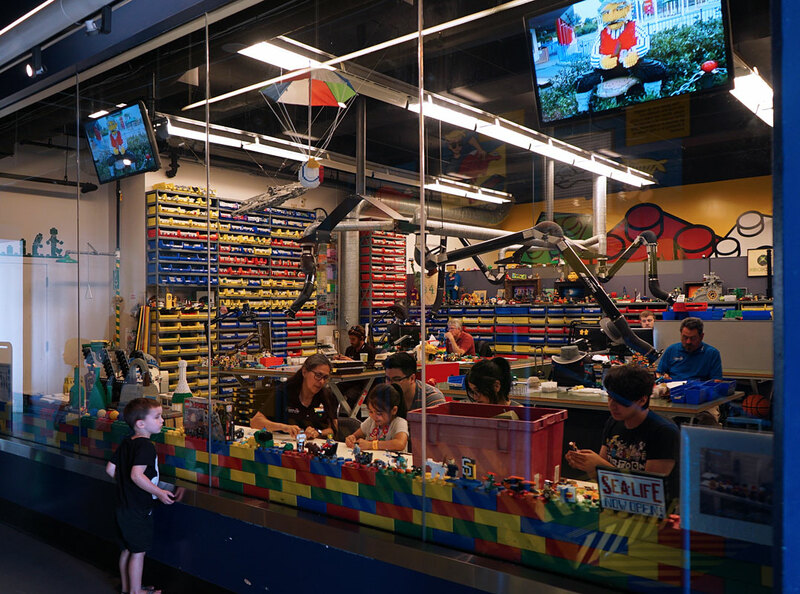 This workshop is the headquarters for maintaining and repairing the more than 27,000 LEGO models in the Park. 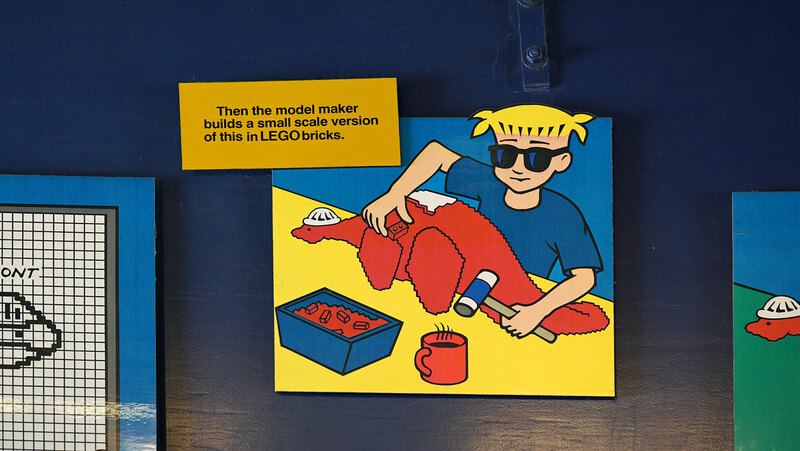 Here, you can often find modelers doing what they do best. 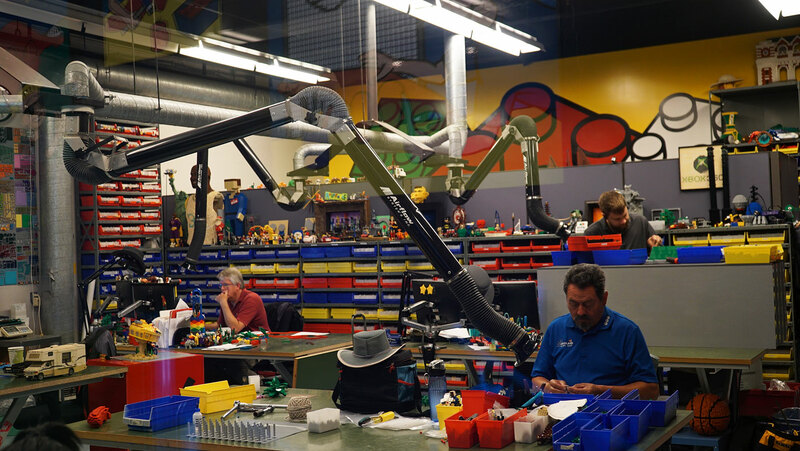 New models and displays are also built here. 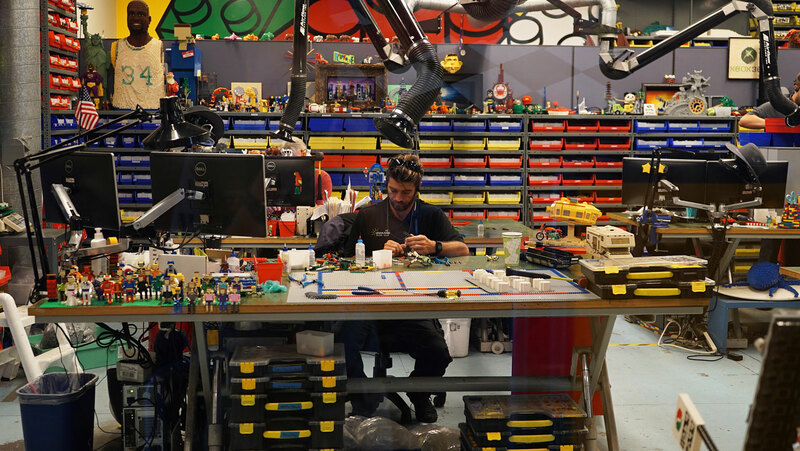 Signage on the walls explains the creative process of just how a Lego model is created. 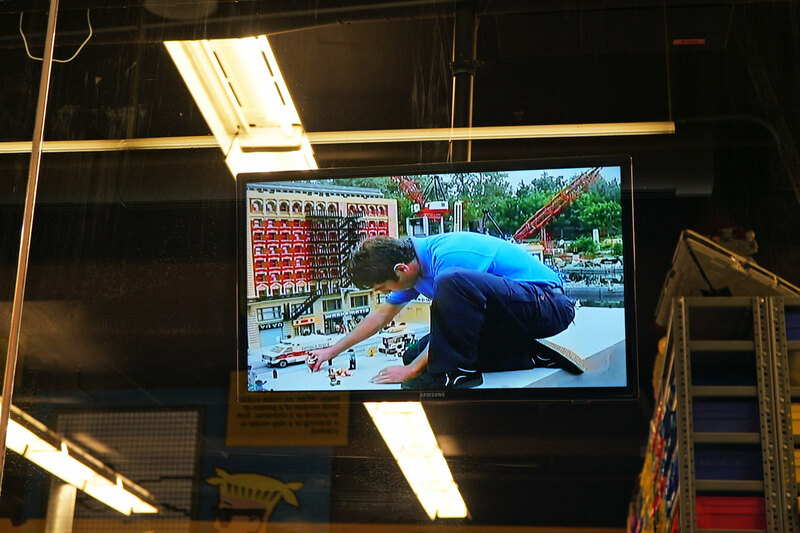 An informative video plays on monitors above, showcasing the process of designing and building the Lego models and cities in Miniland. 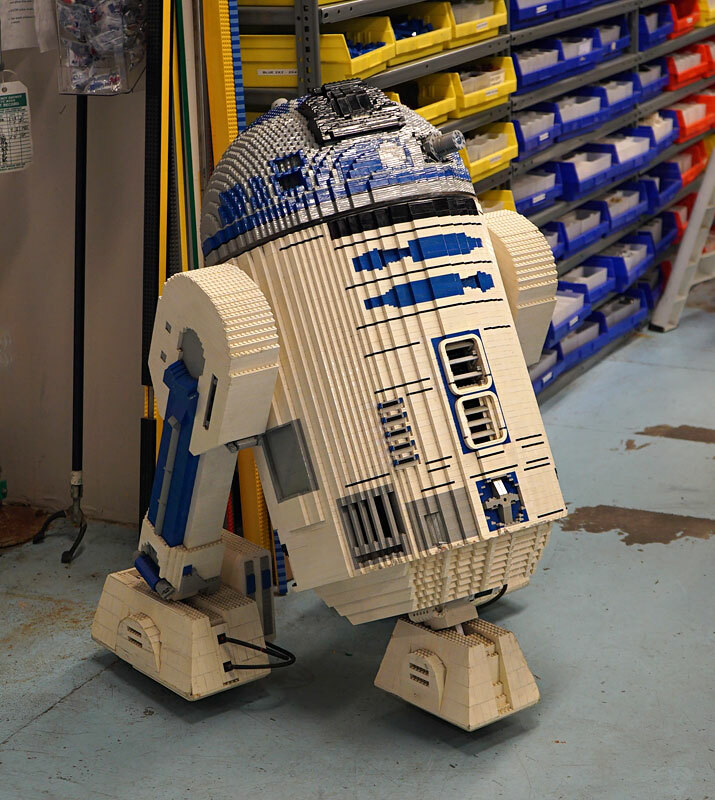 It's a Lego version of R2D2! 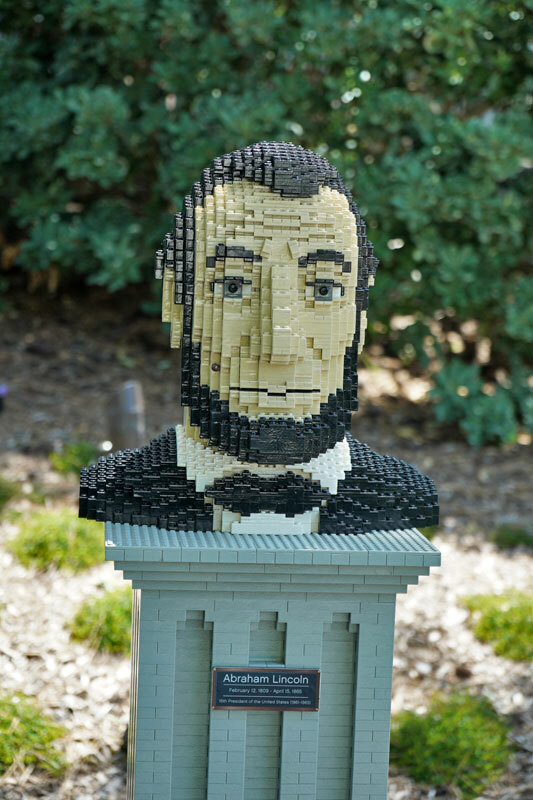 This family gets to experience what it's like to be a Lego builder. 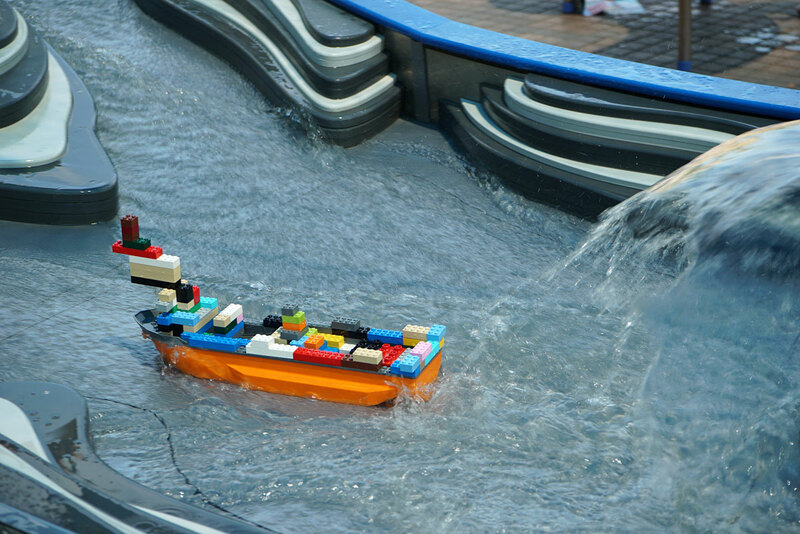 At Coast Guard Build-A-Boat, guests can design and build their own boat out of Legos, and then send it on a trip down a watery obstacle course. 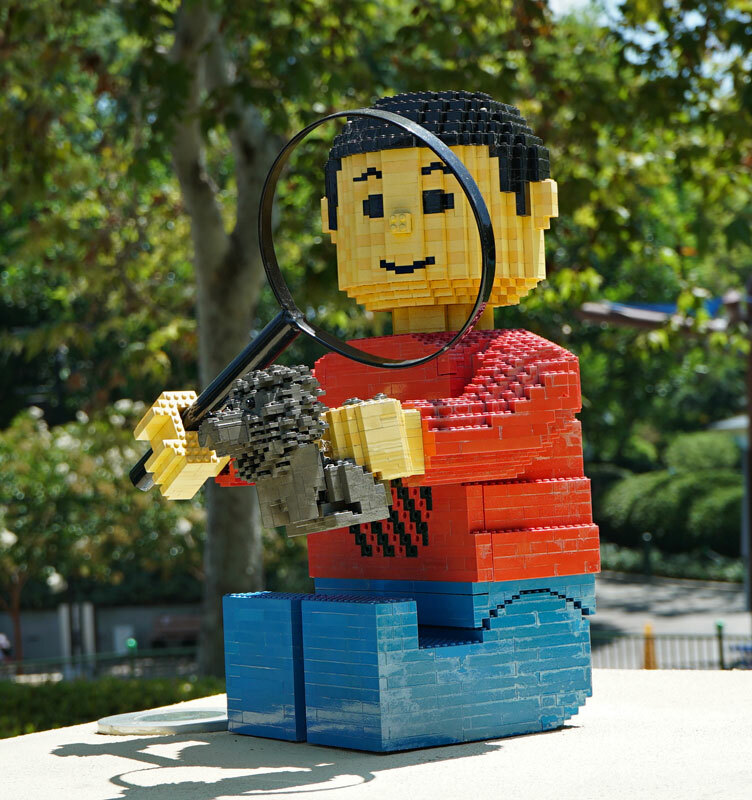 At the bottom of the course is where you'll find the Lego bricks needed to create your craft. 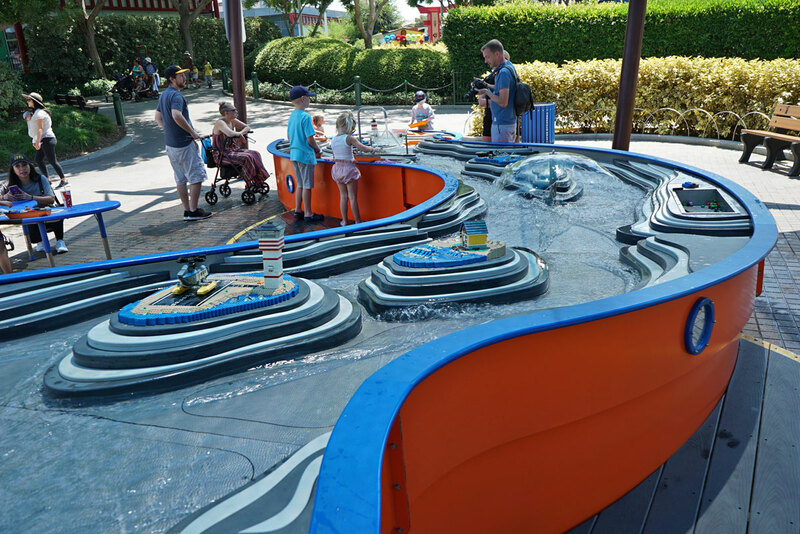 Looking down from the top of the course. 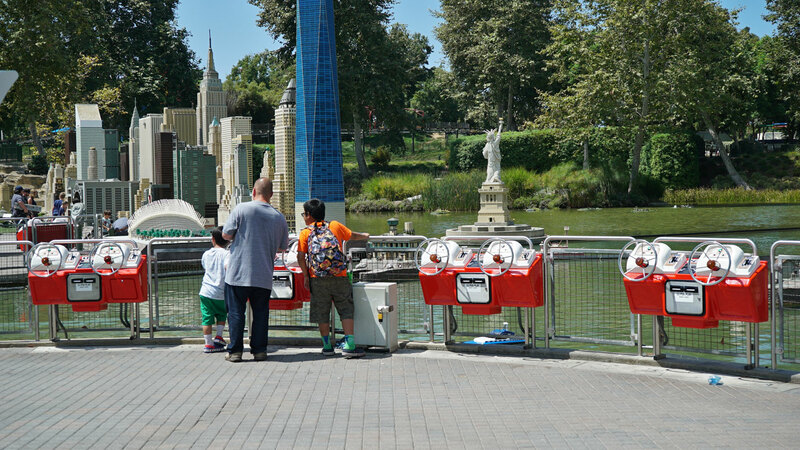 Dad helps the kids launch their boats. 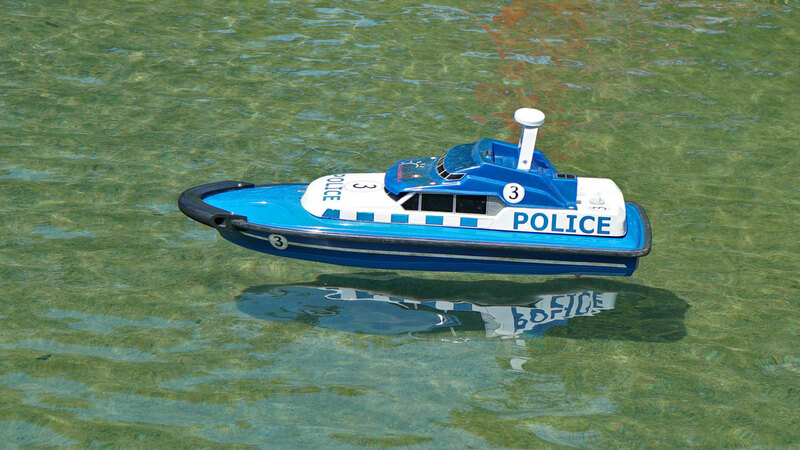 Batten down the hatches! 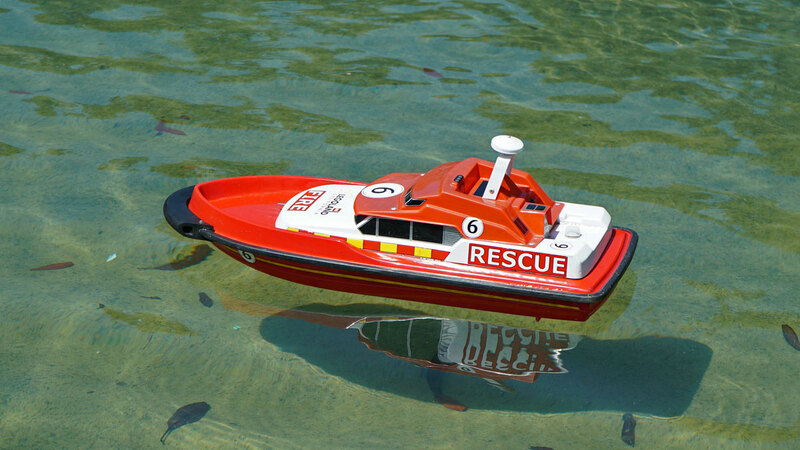 Heavy squalls ahead! 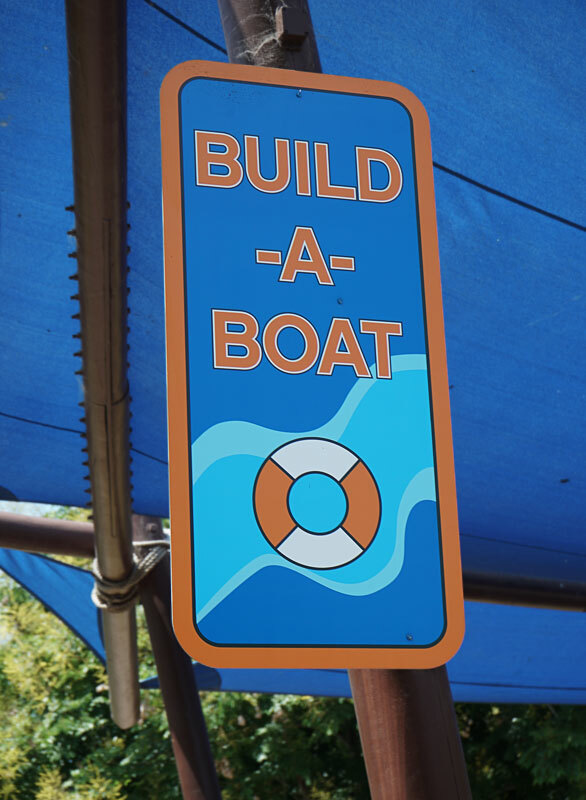 Build-A Boat looks like an interesting concept. 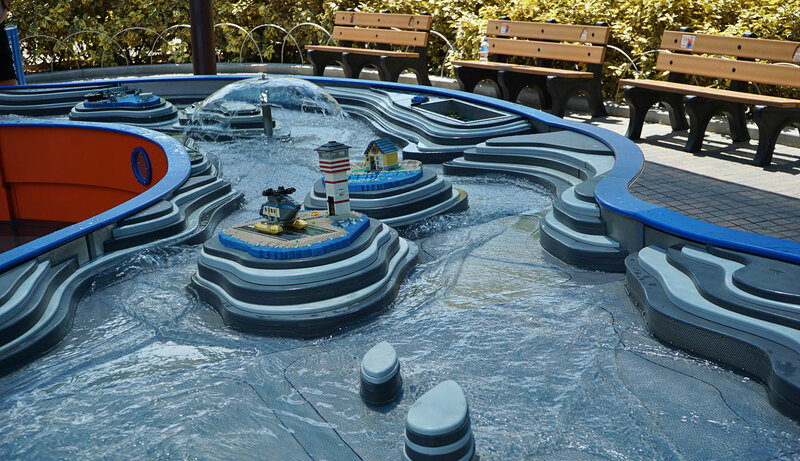 The kid in me wants to try that. 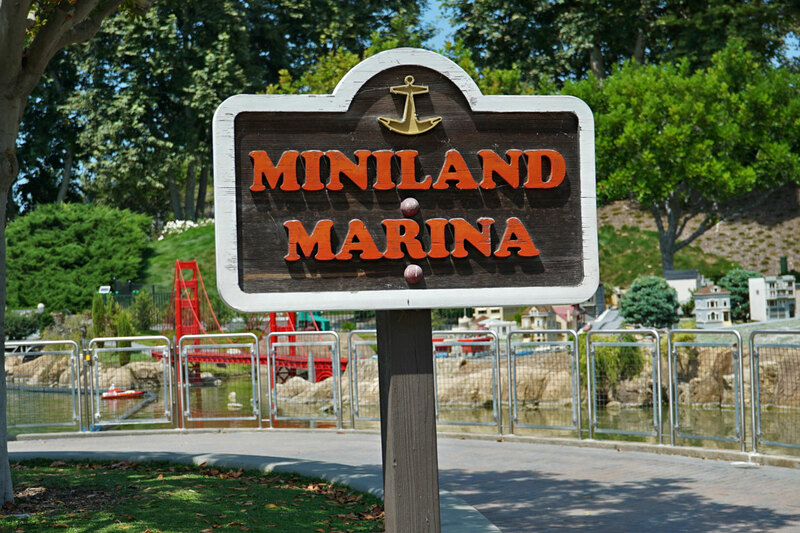 The Miniland Marina features a small water course for guests to navigate in this remote-control boat attraction. 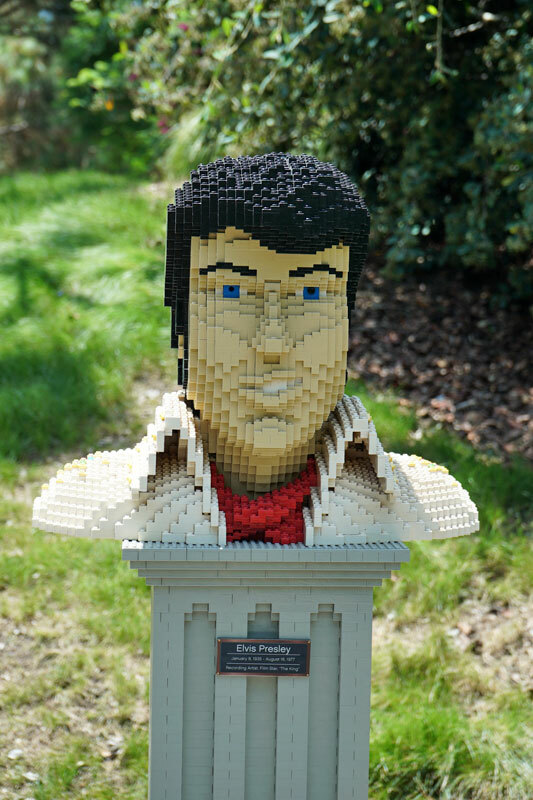 There is a two dollar fee for this attraction. 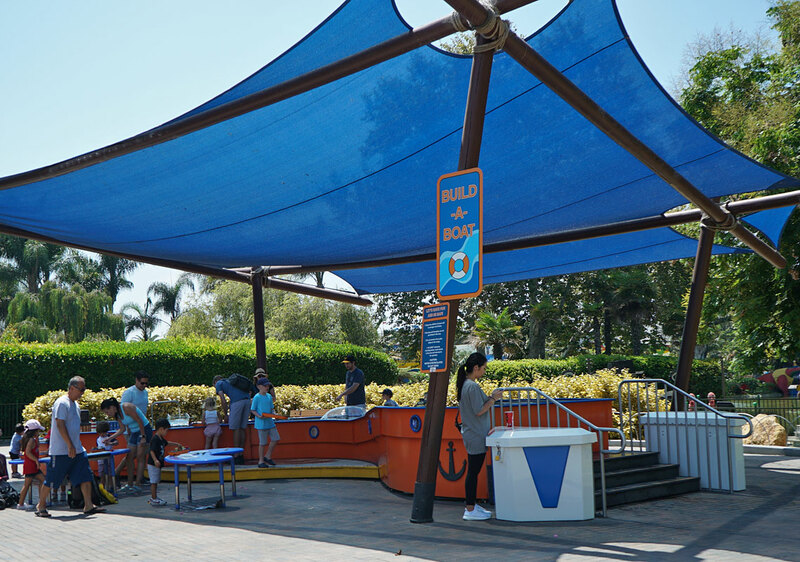 You can navigate your boat from either the California side or the New York side. 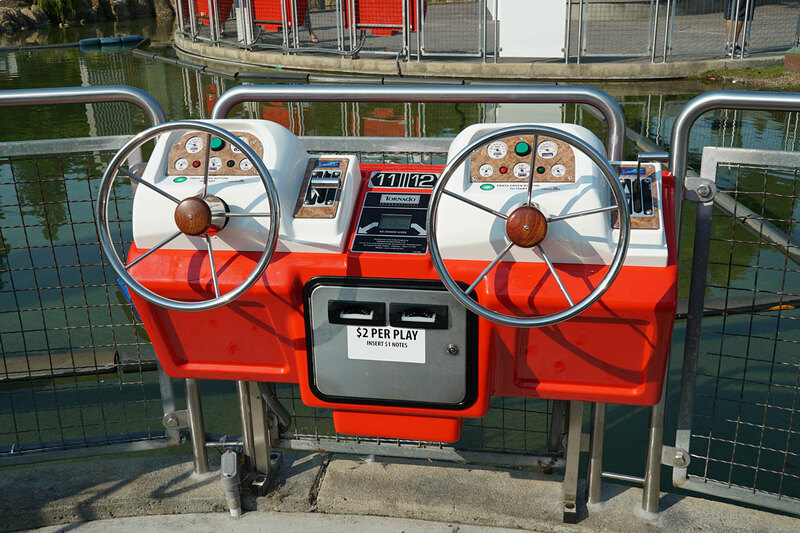 Close up of the controllers from which you navigate your boat. 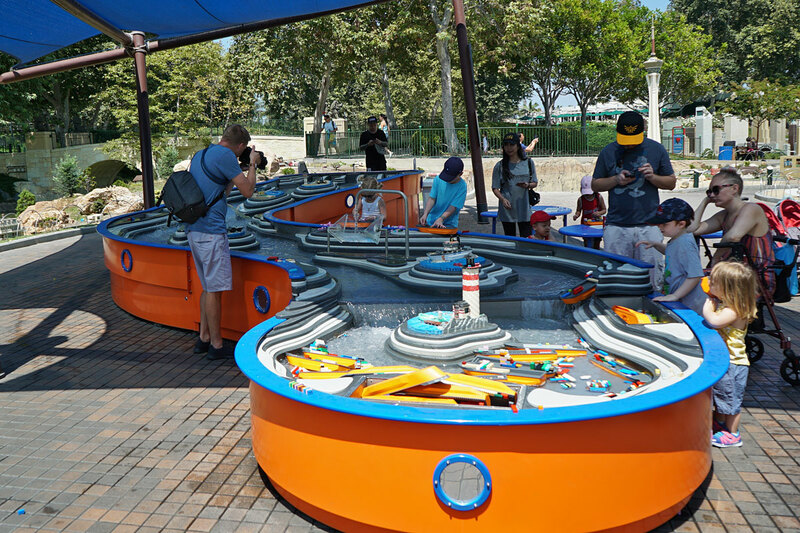 There are 12 boats to choose from. 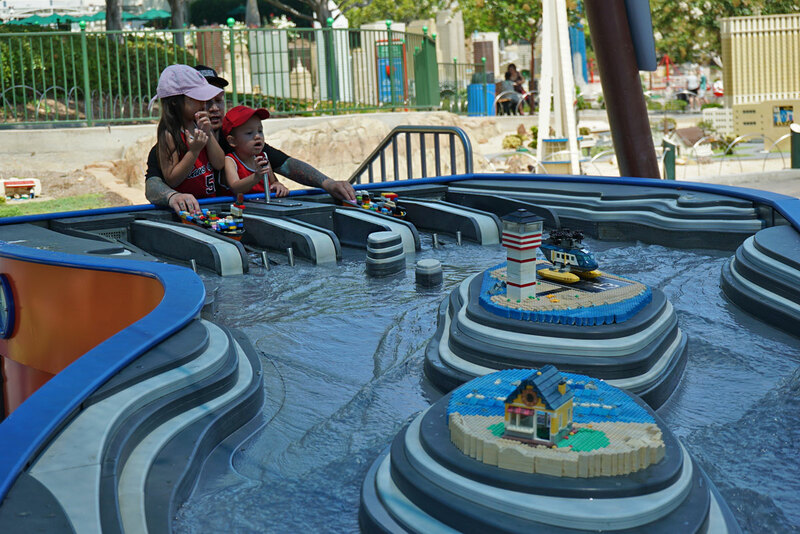 Docking your boat on one of the islands is supposed to trigger an event, although I didn't notice this feature working on my last visit. 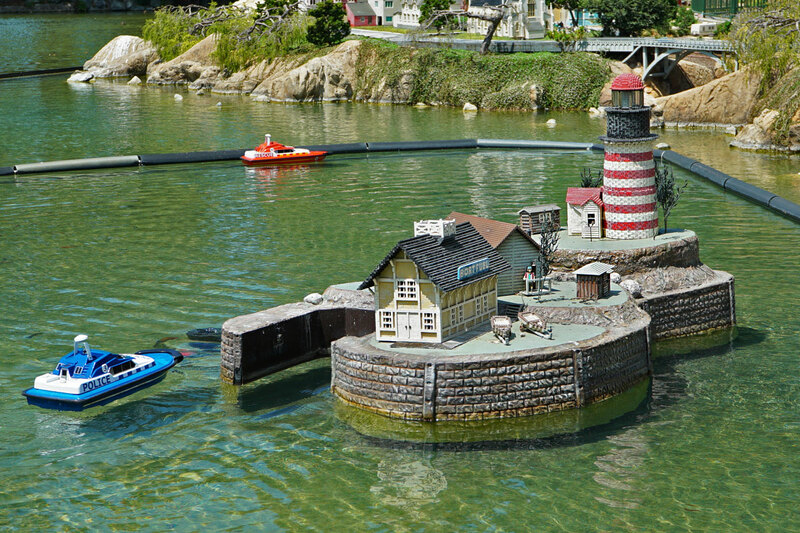 The lighthouse should light up if you dock your boat correctly. 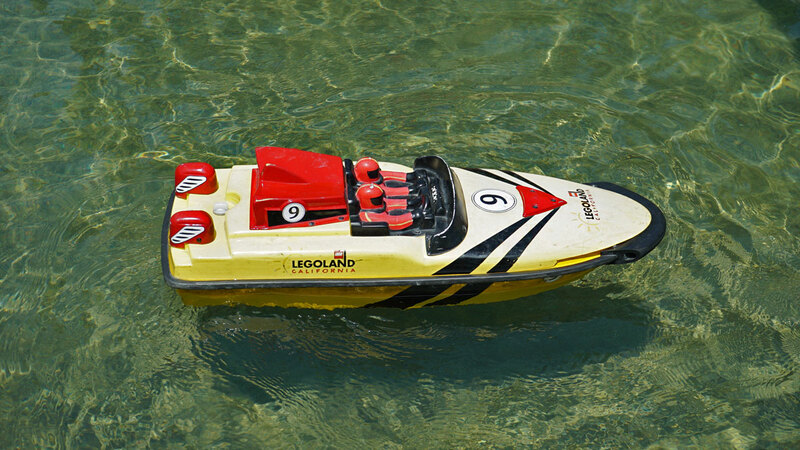 There is a nice variety of boats to choice from, like this speed boat. 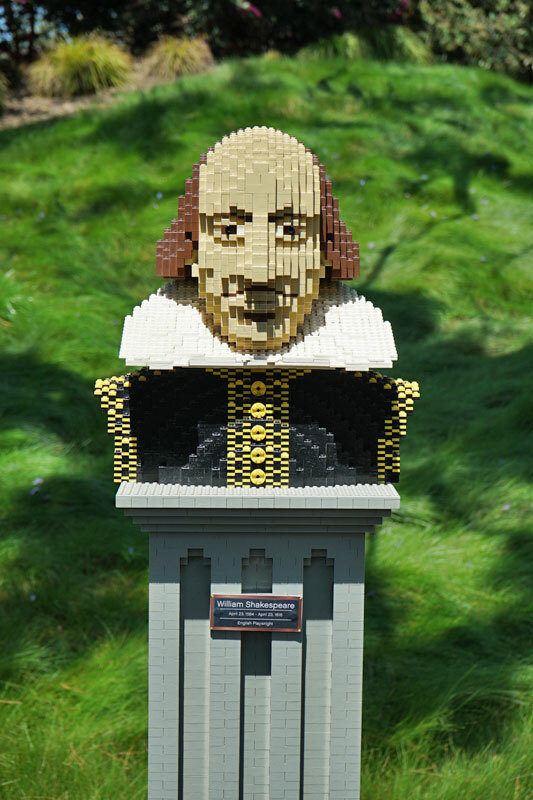 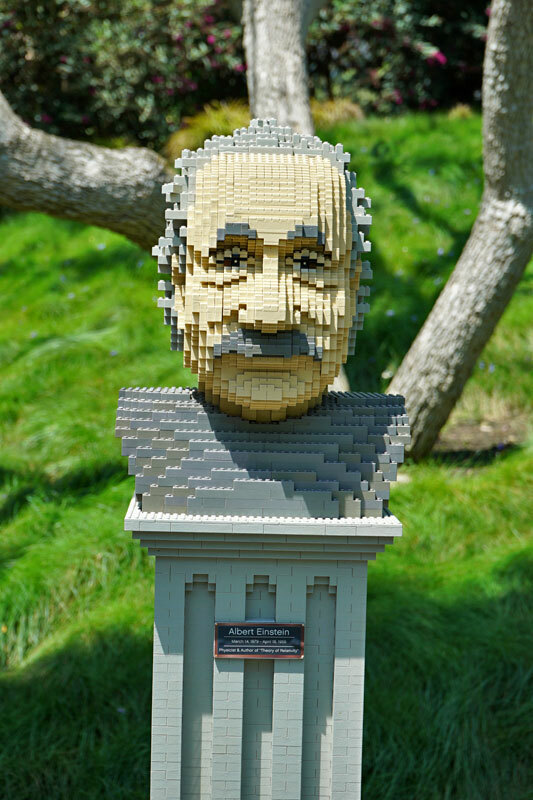 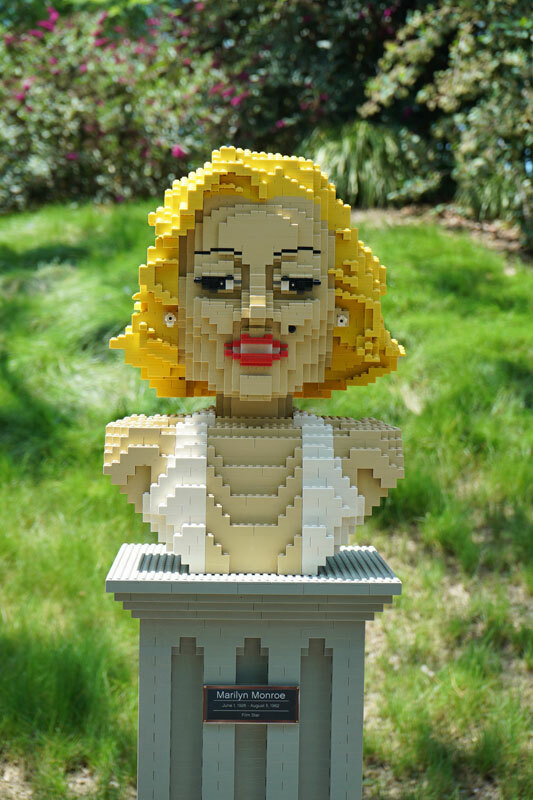 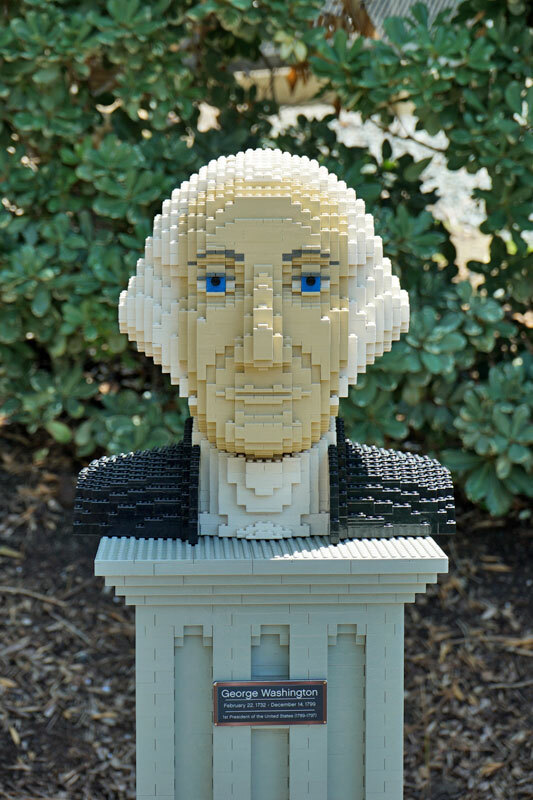 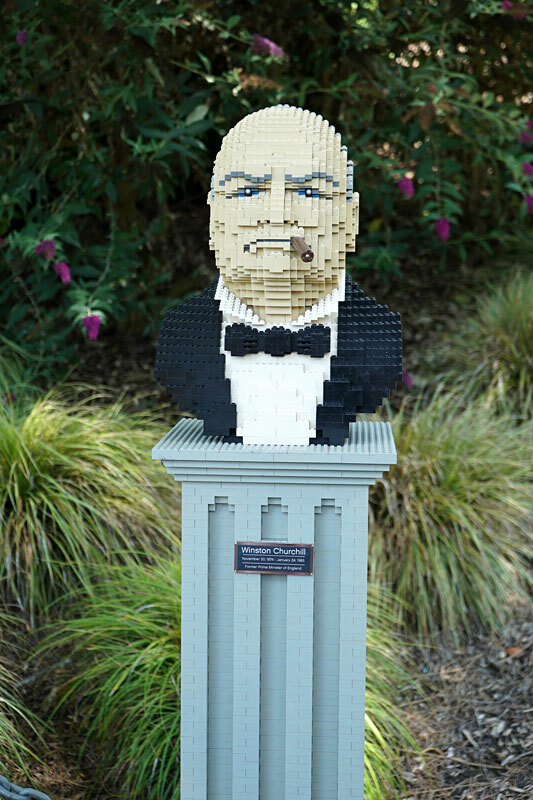 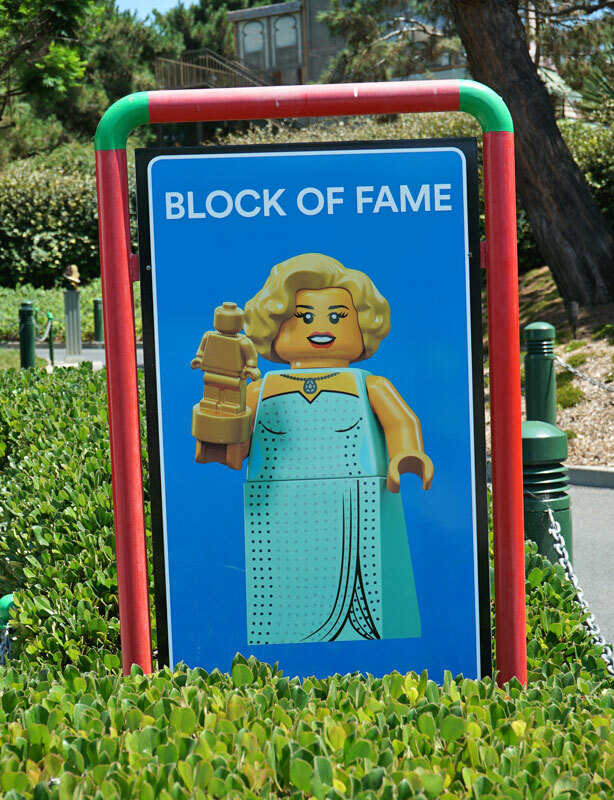 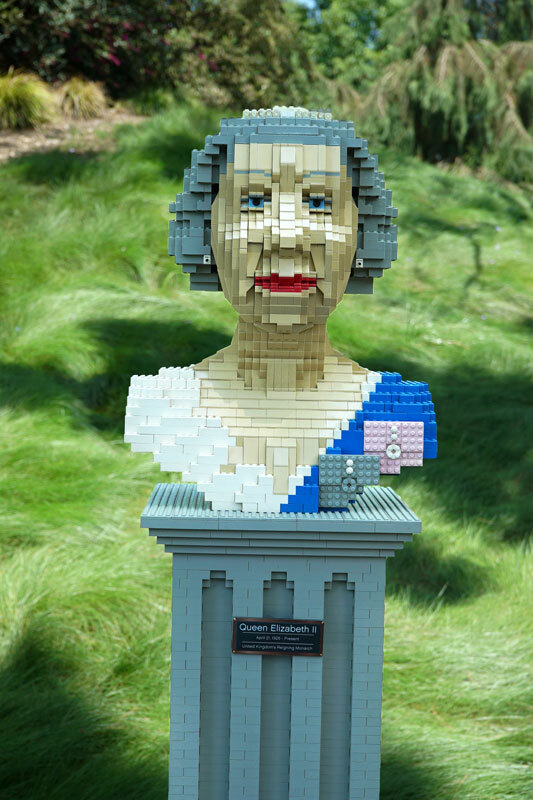 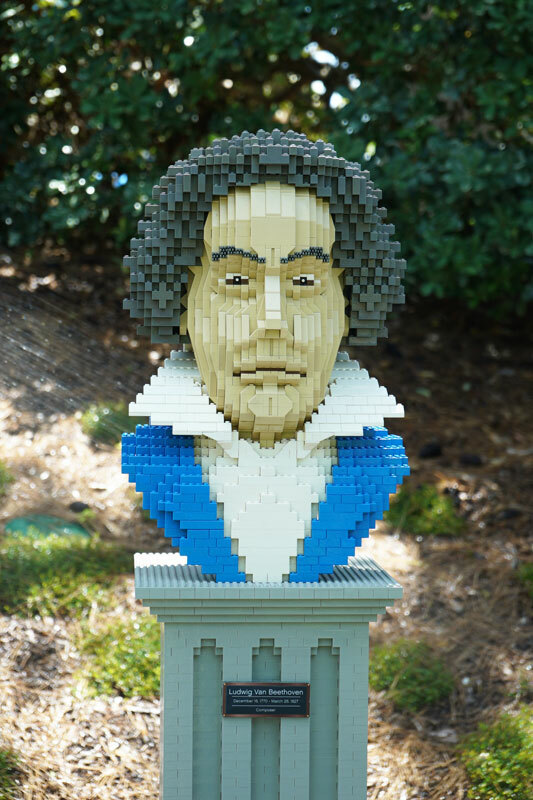 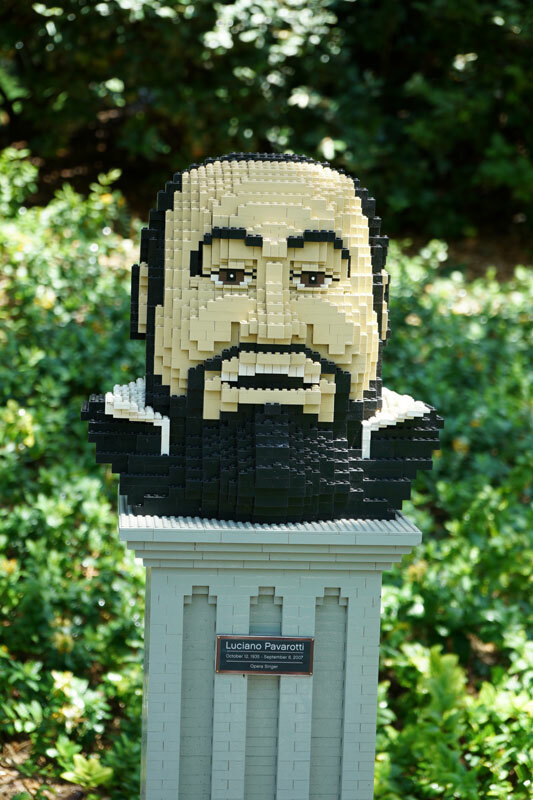 The Block of Fame is a meandering path leading out of Miniland, lined with busts of famous people, created with Lego bricks of course.